How to Write Thesis Outline? If you need an efficient thesis, you must write it down that it can give an answer with simple no or yes. Thesis can’t be regarded as a fact, or a topic not even an opinion. 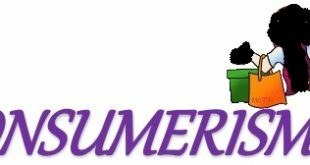 It is a way of describing a problem statement in form of a question which is answered after a set of evidences and explanations are given. All the contradictory conditions are proven wrong and solutions for future are also provided. An effective thesis must have 2 parts. It must tell the way you adopt to plan to give argument and also, how you are planning to give this argument. Other than this, presenting the thesis is also very important to make your audience read as well as understand it easily. 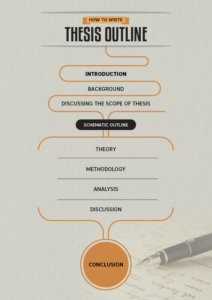 So, here is a precise guide for you, elaborating the complete structure and outline of the thesis paper. It awakens interest of reader. It is highly recommended to write this part in the last hour when everything else is done, for ensuring that it links well with the conclusion. Below are some notes on each of these elements. This part of the introduction gives a general sense to the thesis. It must create a nice impression as well as convince reader about the importance of the theme and making the approach relevant. But, it must be not very long than the required length. The relevance of the background depends on the traditions and field. The info of background can be historical in context or it may refer to the research done already or may link with the practical considerations. You may also focus to the particular text, problem, or thinker. By reviewing a relevant literature of already done research for demonstrating the requirement of the specific kind of research. One of the main thing to do by researcher is to define and then discuss the scope of the study – area including field and theme, and the basic information. Making the scope of thesis narrowed can take a lot of time. Paradoxically, the interest of the thesis increases with the lesser limits. The reason is that narrow scope allows you to make the statement as well as study clearer and deeper, while the broad research statements just lets the thesis to develop a superficial look. The thesis question is formulated as a main statement along with other sub-questions or the hypothesis which need to be checked. The thesis question acts as the guide for writing process. If you want to work independently, you can modify it later. The schematic outline describes the overview of main things of thesis. It gives a clarification of the framework of thesis while helping the reader to have a right focus on your work. an outline is also utilized in supervising the sessions, particularly at the start of thesis. You may find what you need for restructuring the thesis. Working on this part of paper, is a nice way to make sense of the significant changes. An effective outline describes the way of differing various relatable parts of thesis. It also makes sense if you add outline at the ending of introduction, however this is a rule. Place it where it suits the best – not at the complete end nor at too start. This portion is used in the empirical study and is meant to put light on info in highly scientific or scholarly way. It must give complete insights which are not achievable but the ordinary. The main goal of this part is to do analysis and interpretation of the data. So, you must not show the theoretical perspectives which are being used. By doing this, you can may develop false hopes, and make your work unauthentic. Not each of the thesis paper contain a separate section for theory, it can be included in the introduction or as a separate chapter. In a thesis, this section deals with the methodology which is quite important. It implies for the empirical thesis. For the students, this section is hardest to write, particularly as its objective may not remain always clear. The methodology section must not repeat its content. For instance, if have done some interviews, you don’t have to list each of them. You also don’t have to describe the differences amid qualitative and quantitative methods you have used during research or define each of their reliability and validity. What you should include is the way you have chosen for designing and doing research on the method that suits with your thesis question. Discuss the considerations you have given to reliability and validity of chosen method. Instead of telling, try to show that you have completely understood the real meaning of the concepts. In this way, this section doesn’t only remain capable of tying various parts of thesis, but also becomes quite interesting to be read. The analysis, given with the discussion, creates the highlight of the thesis. If you write your thesis in the IMRaD format, then this section is given the tile of “Results”. Here, you add your findings as well as present your results in a very systematic way. Readers build a lot of expectations from this part as compared to other parts. Be sure that you fulfill their expectations. To do analyses means that you have to differentiate between various kinds of the phenomena – similar but not same. Importantly, by differentiating amid the various phenomena, the theory is used to work. Precisely, the way analysis must be written down is important, but, it is somewhat methodological question. Determining the way of organizing and presenting the results can take some time. You can look for the inspirations and examples in the master’s thesis. While doing analysis the human actions, you can engage your reader with the emotions. While doing this, you can choose some analytical categories which correlate with the chosen theory. Engaging the emotions isn’t a thumb rule, however a way of elucidating the phenomenon to make the reader understand the paper in a better way. In most of the thesis, discussion gets a lot of importance. Be sure that you give enough time as well as space for making this part good. This is the best opportunity to make reader understand the importance of your findings and applying the theory in a better way. Discussion consists of the arguments. Or, you can say a way of investigating the phenomenon by viewing it from different aspects. It simply means to question the findings and consider various interpretations. This is the part of the thesis which can take few various forms. Few of the thesis require a conclusion, while some of them include a sum up. The main factor which decides this is the nature of the thesis questions and research statement. For open thesis questions, you can’t always need an answer, however if an answer is definite, you should add the conclusion and it must answer the research questions. Negative conclusions are also very valid. For a sum up, you must iterate the important issues mentioned in the thesis, although you can state them in various ways. For instance, you can frame these issues using the wider context. This is the final section of the paper, which must exhibit your work in the wider way, giving an academic perspective and solutions to the unsolved questions. During the research, you encounter with a lot of research sub-questions and an interesting literature which can be followed up while writing this section of paper. While defining the perspective of your thesis, you can add possible developments, making them clearer to the reader which are beyond the framework of your research project. There must be a strong and reactive connection amid the introduction and conclusion of the thesis paper. Each of the issues and themes which are raised in the introduction should be referred while writing the conclusion in one way or other. If you come to know that your thesis hasn’t dealt with an issue which you raised while writing the introduction, you must go back and delete it from introduction. More elegant method is of structuring the text is by using the textual case or figure at the start and end. While a figure returns to the final part, it will more new as well as rich sense while encountering the insights, made during the writing process. Title: The influence of federalist Paper regarding the approval of the establishment. Thesis: this paper put influence of the approval by the constitution by making highly important and strong arguments, including the significance of the being in Union while having the constitution, replying to the goals of the Anti-federalists regarding the parting of the powers and finding against the arguments given opposite to the features of an executive as well as judicial section provided by the Constitution. State the history of printing and publishing of the federalist paper. Describe the intentions as well as purposes of the federalist paper. A union is helpful against the external risks. A union is helpful against the internal risks. The branches require to gain the interests to maintain the powers, and not allowing the other subdivisions take this away. The terms of good behavior were important for getting the qualified people to the positions.